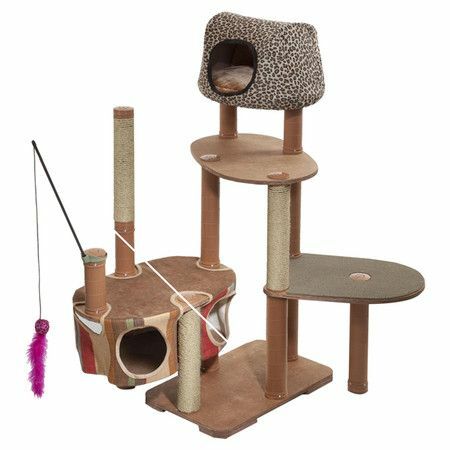 Maidenhead Cat Tree – epic cat plaything! I feel like my cats would either rip this to shreds or tear it down/tear the ceiling down. Or both. But not sit so nicely like that one. Native American Teepee – $24 – Everyone knows that every cat is crazy for a cardboard box! This Teepee has a certain je-ne-sais-quoi that makes every pet owners want to proudly put on a living room show and tell of both pet and product! Felix will feel right at home in this cozy pod for cat napping!